Taylor Taylor London changed the face of hair salons from clinical, functional spaces to award-winning havens of elegant interior design. 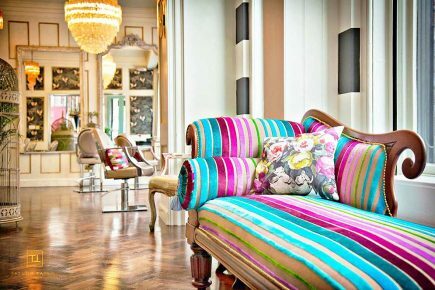 With longer appointment times, world class hair stylists and even a free cocktail bar, Taylor Taylor London offer a truly welcoming atmosphere alongside some of the top creative talents in the world. Their international stylists and colour technicians have been hand-picked for their mix of individual style, creativity and expertise, and have worked with magazines such as Vogue and Elle and work behind the scenes at major catwalk shows. Taylor Taylor London can be found at four London locations, where each interior has its own personal style but all are inspired by Baroque and period pieces for a truly decadent feel.